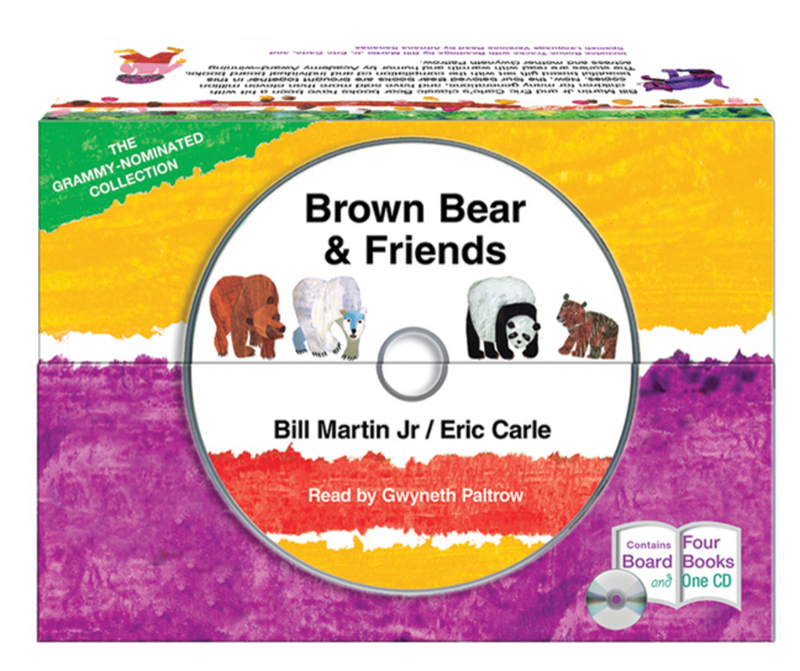 Bill Martin Jr. and Eric Carle's classic Bear books have been a hit with children for many generations, and have sold more than 11 million copies. Now, the four beloved Bear books (BROWN BEAR, BROWN BEAR, WHAT DO YOU SEE? ; POLAR BEAR, POLAR BEAR, WHAT DO YOU HEAR? ; PANDA BEAR, PANDA BEAR, WHAT DO YOU SEE? '; and BABY BEAR, BABY BEAR, WHAT DO YOU SEE?) are brought together in this boxed gift set with a CD of all the stories. 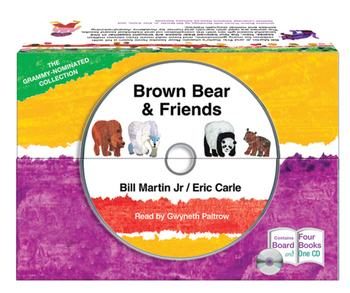 Read by Academy Award-winning actress and mother, Gwyneth Paltrow, the audio CD also contains Spanish language versions read by Adriana Sananes and bonus tracks with readings by Bill Martin Jr. and Eric Carle.